Import2 Wizard allows you to export any record type that is available with your tool's API. 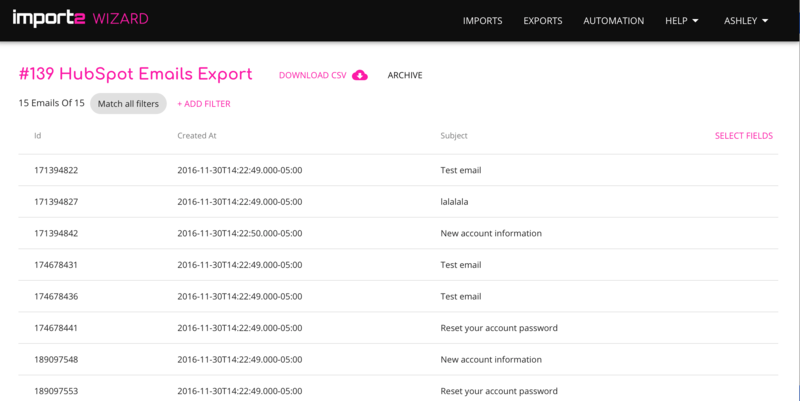 The export feature is used to extract the data you need from any tool you connect - whether that be to gather data for reporting, create a back-up archive, and more. If you're interested in setting up a scheduled export, you can read more about this feature here. Check out all the videos in our Video Learning Center to become an expert in using Import2 Wizard!